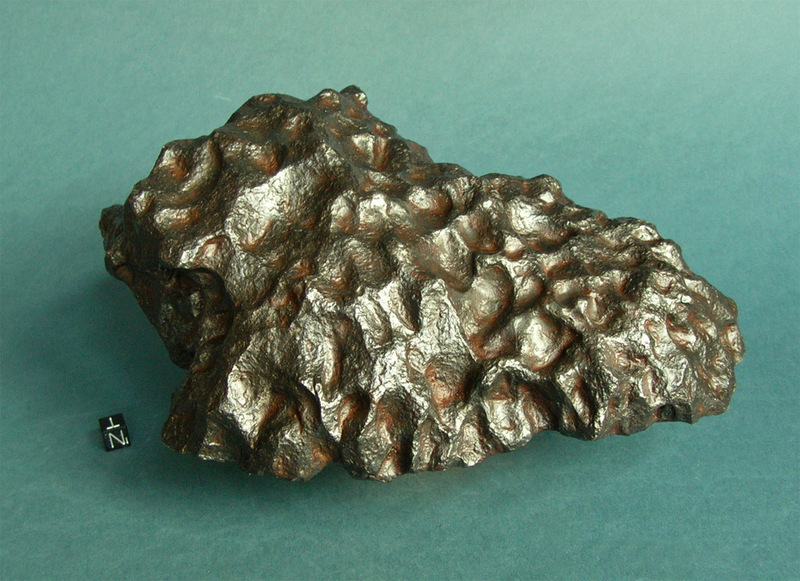 Oriented shield shaped mass of similar appearance to the Cabin Creek meteorite. The breast side is covered by deep regmaglypts still sheltering remnants of fusion crust on their bottom. The regmaglypts originate from the broad apex of the shield and shape into distinct furrows towards the edge. There are no regmaglypts on the concave trailing edge of the meteorite. 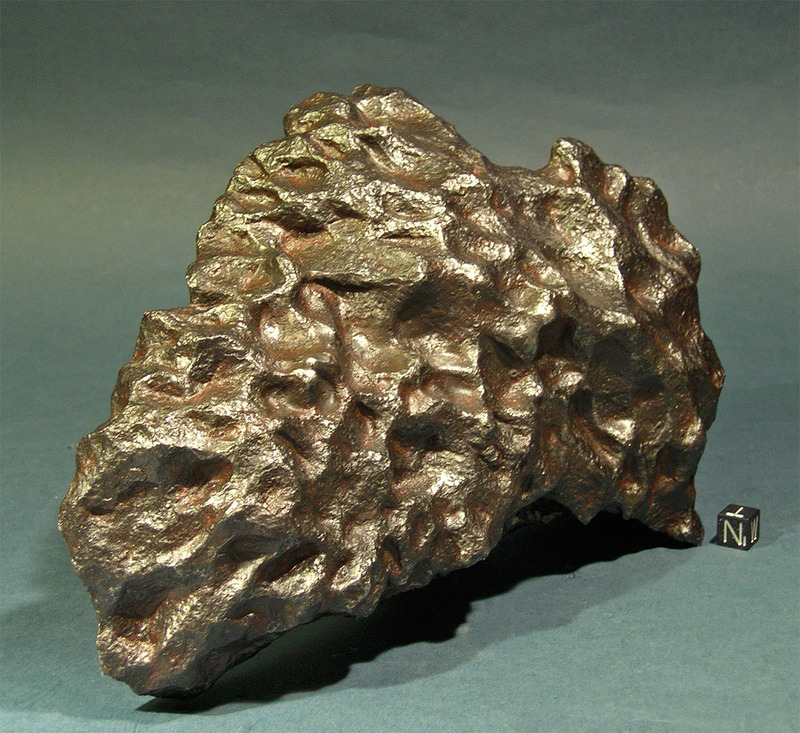 Exceptional specimen and certainly the best oriented Campo del Cielo meteorite we have seen.